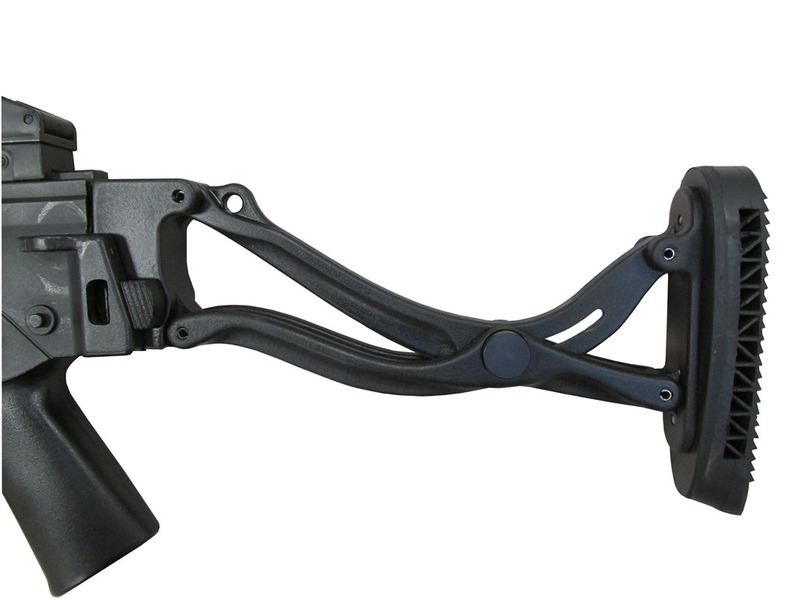 The production of a versatile rifle stock that enables operatives to discharge their firearms while wearing a ballistic helmet with the visor fully lowered has been launched. 164 year old survival equipment manufacturers, BCB International Ltd, first unveiled the FRAMM® modular stock at DSEI 2017. The FRAMM® is an adjustable and foldable stock that allows firearms officers to comfortably discharge their firearms in all firing positions. 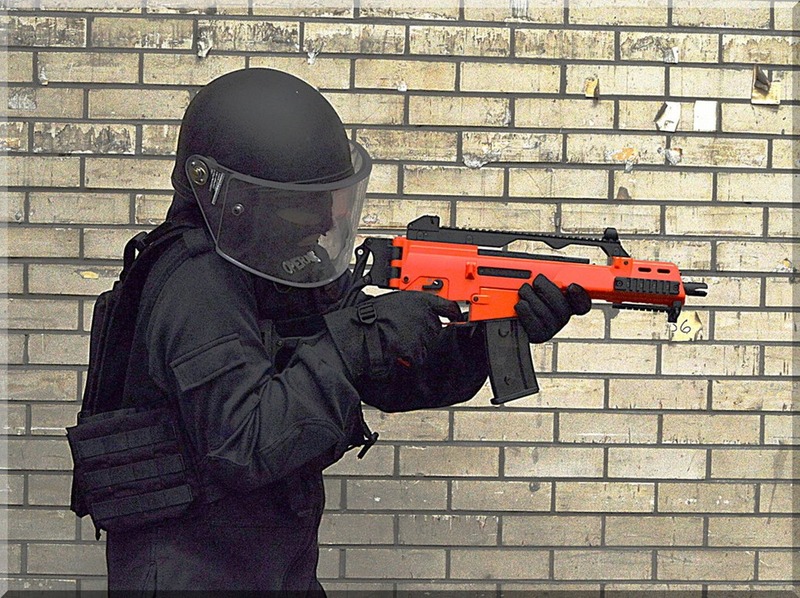 BCB International’s FRAMM® Project Manager, Philippe Minchin, confirmed that the stock is now in production: “Production has been launched for the H&K G36, B&T 40×46 and HK-UMP variants of the stock. In the near future we plan to start the production of FRAMM variants for: FN HERSTAL-SCAR, HK-MP5 A2, HK-MP5K-PDW, BERETTA-ARX 160, REMINGTON-ACR, CZ-805 A1 BREN, SIG SAUER-550/551.., SIG SAUER MCX, B&T-APC556. 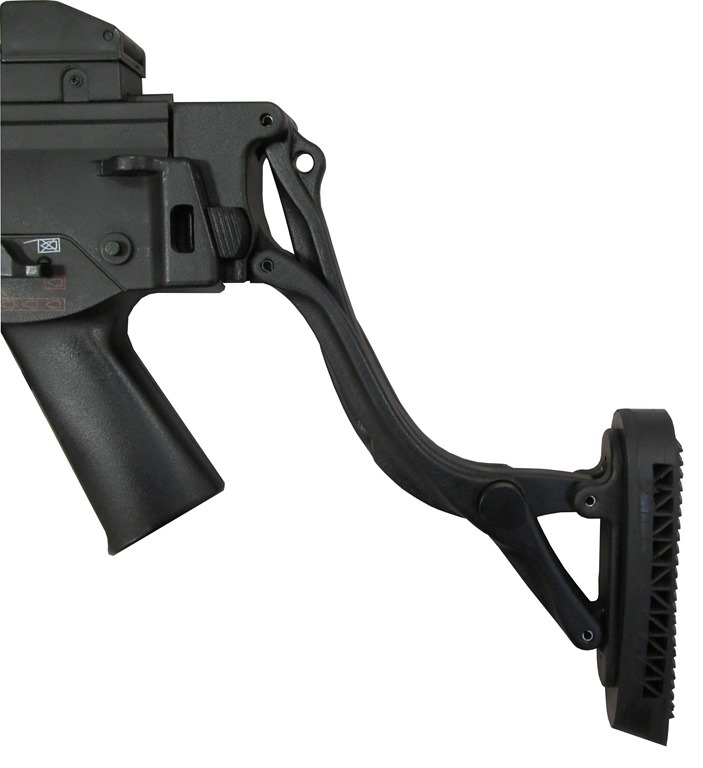 The FRAMM® is good news for law enforcement professionals because it removes the inconvenience for both non-visored and visored officers of having to alternate between different buttstocks to fit the situations they are faced with. BCB International Ltd are seeking dealers and distributors for the FRAMM® stock. This entry was posted in Accessories and tagged BCB International, FRAMM, rifle, stock. Bookmark the permalink.